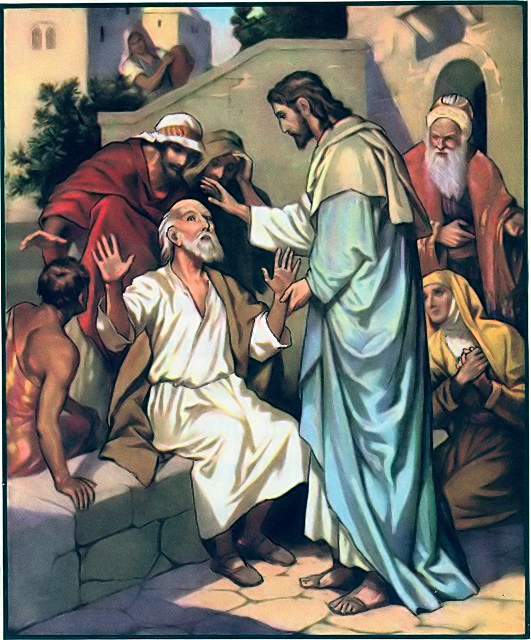 Today’s gospel tells us about Jesus healing a blind man named Bartimaeus meaning, from Hebrew, son of Timaeus, and most probably he was from Jericho. 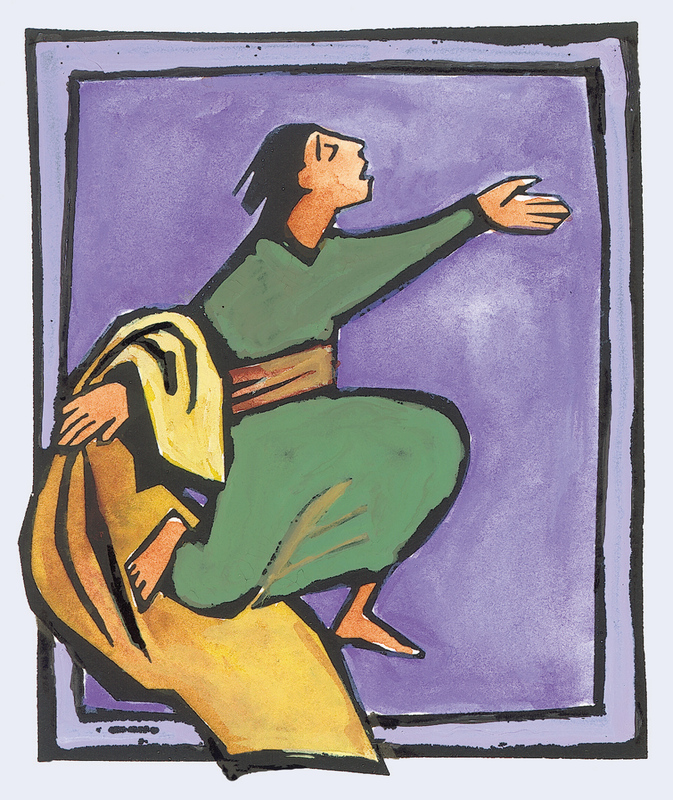 He is blind and has a deep desire to be healed: he wanted to see. was blind: he could not see the reality around and what surrounded him. He couldn’t distinguish people, things, and colors; he couldn’t see the danger that faced him all the time. Everything he saw was only darkness. He used to walk gropingly. He was lying down: his position means passivity, resignation, inactivity and inertia. He was begging: this means poverty, dependence on others, parasitism and lack of independence. He was crying out loudly: Bartimaeus was courageous and decisive man, he cries out loudly for help disregarding the obstacles that he encountered and the people who wanted to keep him quiet. The more he was prevented the louder he cried: “son of David, have pity on me”. What do we learn from Bartimaeus, what do we draw from his attitude? 1. Bartimaeus, the blind man, represents each one of us, each disciple of Christ. We all are blind in our spiritual life, blinded by a lot of false hopes and desires of this world. He is not the only blind man on the road. The disciples and the crowd are blind too. Bartimaeus is the example of the disciple who finally opens his eyes to the light that is Jesus himself, the true light, and decides to walk in and under this light. 2. The desire of the blind man “Master, I want to see” is the desire not only of Bartimaeus but is also the unexpressed desire of the disciples of Jesus, of the crowd; it is also our desire. We want to see the light of Jesus, the reality around us, and see with courage what is wrong in us and in the world. We want to open our eyes in order to see our poverty and others’ sufferings and poverty. We want to see what the cause of our blindness is. Bartimaeus teaches us to express and to cry out our desire and our hope with courage and does it at any cost and at any price. For Jesus, it is important that we express our desires. It is important that each Christian be given the opportunity to express what his or her heart’s desire is. The loss of prayer is the loss of a language for our suffering, the loss of faith is the loss of desire to speak honestly to God. The first difficulties or obstacles must not shelve us or discourage us. We have to try and dare the unexpected. Bartimaeus believed that Jesus could heal him and believed in Jesus’ healing power despite the difficulties. If we don’t believe in the healing, we will not be healed; if we are not sure to change, we will not be changed, if we don’t believe in ourselves we will not achieve anything. 4. Bartimaeus is the example of faith. To have faith means to open our eyes and see the people and things in a new perspective and with new eyes; see the things that we used to ignore before and that others don’t see. He is a man of faith, touched by the grace of an experience with God; he is able not only to ask with humility, but also to receive what he has asked for. Bartimaeus is an image of those who seek and trust in God.